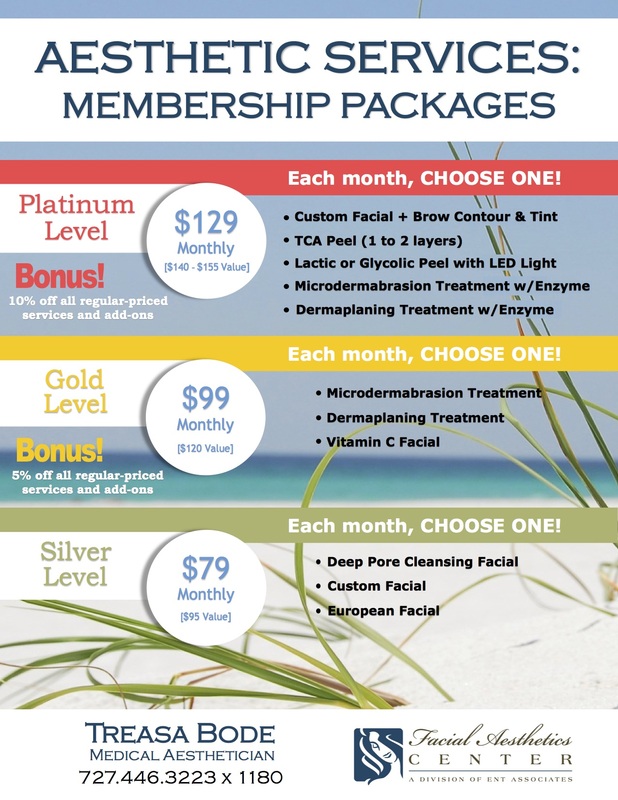 Facial Aesthetics Center Skin Care Products - Dr. Jonathan Morgan - Facial Plastic Surgeon, Tampa Bay and Clearwater, FL. Removes excess lipids without over drying and contains 0.5% Salicylic acid to enhance exfoliation. Facial Cleansing Foam is designed for patients with normal to oily skin. Moisturizes dry skin with Lactic acid, Petrolatum and Sodium PCA. Gentle Hydrating Cleanser is ideal for patients using products or procedures that can dry skin. Designed for patients with normal to dry skin. Contains the only form of Vitamin C clinically proven to increase collagen production. The anti-oxidant cocktail of Vitamins C & E and Green Tea, paired with penetration enhancing hydroxyacids, make it among the most potent anti-aging products available. Replenishing Eye Complex clarifies and brightens the skin, while tightening sagging areas and softening the appearance of fine lines and wrinkles. 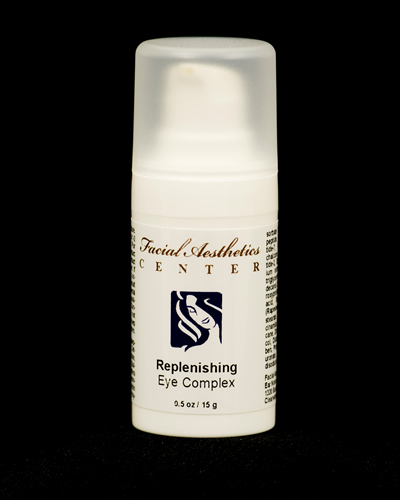 Replenishing Eye Complex contains Acetyl Hexa-peptide-3, a synthetic peptide used to relax muscles and smooth dynamic skin wrinkles. The first commercially available topical Epigallocatechin gallate (EGCG), the most biologically-active constituent of Green Tea. EGCG is associated with a variety of biological effects including free-radical scavenging, inflammation reduction, and UVA/UVB photo protection. The anti-oxidant activity of EGCG is approximately 100 times that of Vitamin C and 25 times that of Vitamin E at protecting cells and DNA from damage. Contains the only form of Vitamin C clinically proven to increase collagen production. The anti-oxidant cocktail of Vitamin C & E and Green Tea, paired with penetration-enhancing hydroxyacid, provides both short-term micro-exfoliation and longer-term skin firming and protective benefits. 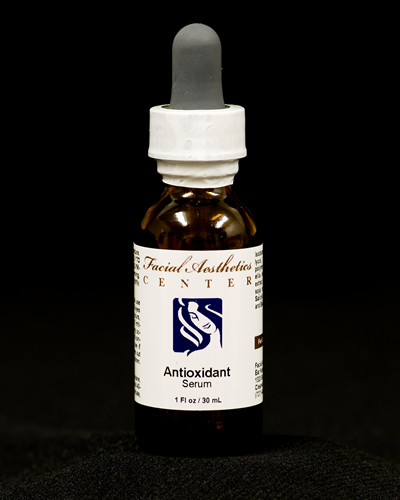 Antioxidant serum/gel clarifies and brightens the skin, while tightening sagging areas and softening the appearance of fine lines and wrinkles. Available in a light serum for combination / oily complexions and an emollient cream for normal / dry complexions. 100% fragrance and preservative free. Available without a prescription, Retinol is a form of Vitamin A, a time-tested ingredient which improves the appearance of fine lines (in around 4 weeks), wrinkles (in around 12 weeks), mottled skin tone, hyperpigmentation, skin texture, smoothness, and dry skin. 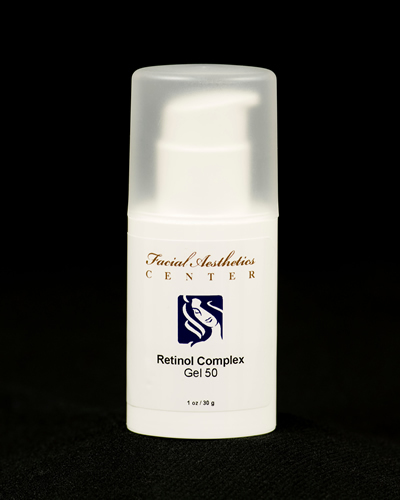 Our Retinol Complex delivers skin-rejuvenation benefits with less irritation than prescription retinoid. This unique product allows us to start patients on a concentration that is well tolerated. As the skin grows accustomed to the retinol, the concentration is increased. High-potency combination of alpha (Glycolic, Lactic) and beta (Salicylic) hydroxyacids which, when used regularly, can produce superficial effects similar to those of in-office chemical peel procedures. 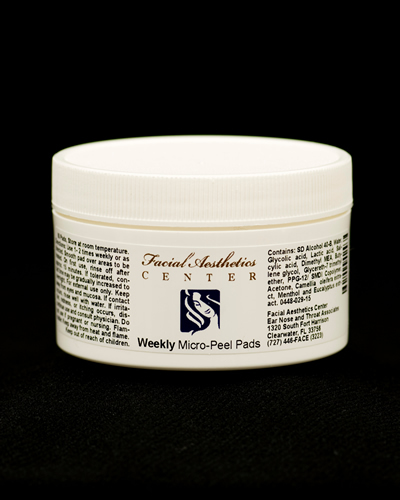 Single-use pads, used once a week, exfoliate dead skin cells, clear and brighten skin and can enhance the efficacy of photo-aging treatments such as retinoid and anti-oxidants. Unique Hyaluronic acid-based gel designed to enhance skin moisture and reduce signs of photoaging. 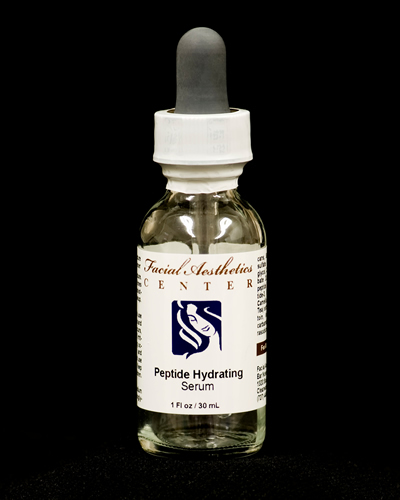 Peptide Hydrating Serum contains compounds clinically proven to improve the dermal support matrix, thereby reducing fine lines and wrinkles. The water-based vehicle is oil-free, fragrance-free and non-comedogenic. Appropriate for use under make-up, sunscreen or moisturizer, or as a light-weight moisturizer for combination or acne-prone skin. Contains the only form of Vitamin C clinically proven to increase collagen production. The anti-oxidant ingredients in this product ideally suit it for application after skin-rejuvenating treatments such as superficial chemical peels, microdermabrasion, non-ablative laser and IPL. 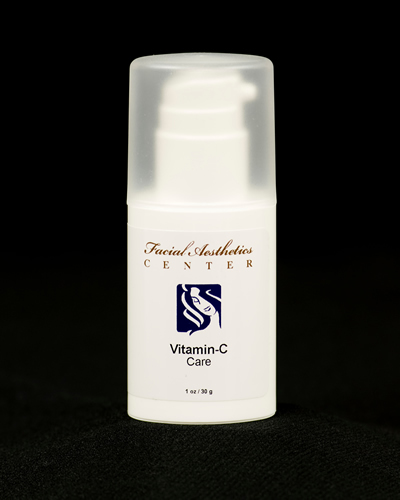 Our Vitamin C Care is non-acidic, improves the appearance of sagging and dry skin and reduces skin irritation. Available in a range of vehicles to suit most skin types, the C-emollients can be combined with hydroxyacids and retinoid in photoaging regimens. 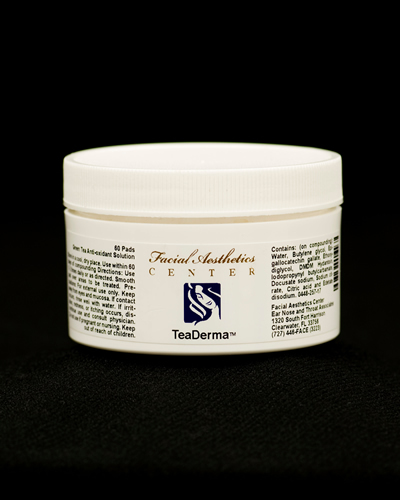 This can also be used alone by patients with sensitive skin, or used after treatments that leave skin dry or irritated. This sunscreen is a perfect compliment to your everyday skincare for those who love to be active outdoors. The lightweight lotion provides SPF 50 with 9% Zinc Oxide. It won’t rinse off in water or drip into eyes and sting while you sweat. Making EltaMD UV Sport 50 perfect for swimmers, runners, golfer and all outdoor activities as well as safe to use on children. EltaMD is Paraben-Free. Active ingredients are 9.0% Zinc Oxide, 7.5% Octinoxate and 5.9% Octisalate. For more information visit www.eltaMD.com. Micronized Titanium and Zinc oxides, fortified with the powerful anti-oxidant Melanin, in an anhydrous silicone-based gel. 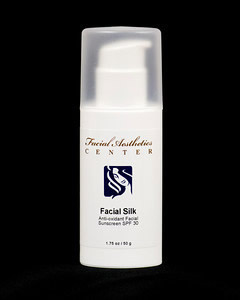 With a silky rub-in and matte finish, Facial Silk leaves no shine, no stickiness and no odor on the skin. The inert, fragrance-free, preservative-free vehicle is ideal for patients with sensitive skin, or post-treatment skin that may be dry or irritated. Extra gentle cleansers for redness-prone and sensitive skin. Contains Evodiox™, a powerful redness-reducing agent derived from the Chinese Evoida plant. Foamy cleanser helps remove excess lipids without over drying. 100% fragrance free. Contains Salicylic acid as an astringent vehicle for the treatment of acne and acne-prone skin. Glycolic and Lactic acids help reduce cellular cohesion in the hair follicle. Oligopeptide-10, a new short-chain peptide, works to promote skin clarity. Intended as a daily treatment, the single-use pads remove excess oil and debris following cleansing while simultaneously leaving behind an active acne-fighting formula. Combination of skin soothing agents with Vitamin K intended for patients with sensitive, redness-prone skin. Vitamin K is required for blood clotting and aids in minimizing the appearance of small capillaries that have enlarged under the skin. Inert, silicone-based gel is well-tolerated by patients with sensitive skin. Unique, non-irritating vehicle is emulsifier-free, preservative-free and fragrance-free.